“We’re done, remember? Get out.” Rose rolled the pastry around her rolling-pin. Frankie gawked with starving eyes. A handful of those special berries and I’ll shake you once and for all. You won’t ever eat pie again. 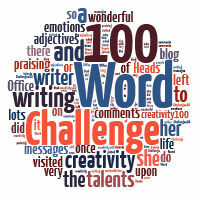 Categories: 100-Word Challenge, family, return, surprise | Tags: love, luck, married, pi, pie | Permalink. OOh a sinister twist, lovely. Ha! I’ll bet he doesn’t……. Well done, Tess! It amazes me how much emotion and back story you can pack into a story in so few words. It is amazing how quickly your words pull a reader in…excellent! Thanks so much, kind sir. I’m pleased you enjoyed the read. Thank YOU, Geraldine. Glad you liked this. LOL – you are exercising your dark side!! I hope Frankie really is a bad guy and not just a lovesick loser. I feel he’s a pain in the A$$, the hanging on kind. Anyway, she’s married, the silly goose. It made me laugh. Now, what does that say about me. Good writing! Ooh, she’s a nasty one. Isn’t there an easier way to get rid of this guy? For me, one taste of my pie and he’d be looking elsewhere. Those special berries (mistletoe) are easier for her. He’s found a good thing and has been milking it, but she wants out. Anyway, she’s married. Oh, Rose is my kinda girl I like her. Thinks on her feet and everything. Lovely one Tess. Another Tess Cliff Hanger Special. Bravo! A surprise ending Tess! Wonderful twist. You really are a specialist for these shorties… make me a cherry pie pleeeaaaasssee! Cherry pies are only for guys I want to break up with and who won’t go away. Anyway. What else can a girl do when she already has a husband but make a pie with mistletoe berries?? Uhm……does Rose bake for EVERYONE she gets tired of? Or just grabby men she’s done with? I mean….what about coffee friends and such???? Just in case…..
Love her or hate her, she’s going to remove the irritant in her life. She’s a bad girl to start with. She’s already and still married. Oh, I could smell a murder-about-to-happen in the first line! Love it! You got a little Roald Dahl “Lamb to the Slaughter” wickedness in this one. I wear many cloaks (don’t like hats). When a woman says, ‘It’s over,’ well… you’d best believe it’s over!